Ideally, we would use a dataset consisting of a subset of the Labeled Faces in the Wild data that is available within scikit-learn with the ‘datasets.fetch_lfw_people’ function. However, this is a relatively large download (~200MB) so we will do the tutorial on a simpler, less rich dataset. Feel free to explore the LFW dataset at home. Fortunately, this piece is common enough that it has been done. One good resource is OpenCV, the Open Computer Vision Library. The components (“eigenfaces”) are ordered by their importance from top-left to bottom-right. We see that the first few components seem to primarily take care of lighting conditions; the remaining components pull out certain identifying features: the nose, eyes, eyebrows, etc. 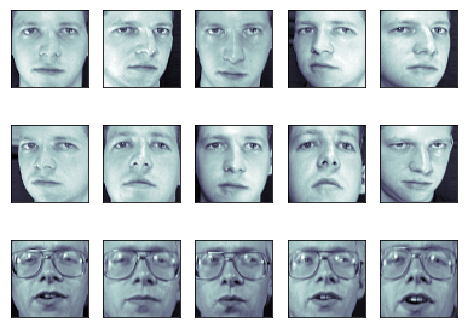 These projected components correspond to factors in a linear combination of component images such that the combination approaches the original face. The classifier is correct on an impressive number of images given the simplicity of its learning model! 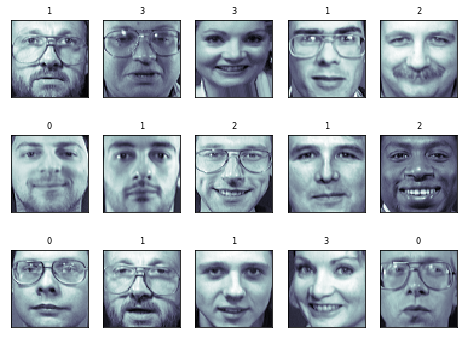 Using a linear classifier on 150 features derived from the pixel-level data, the algorithm correctly identifies a large number of the people in the images. Another interesting metric is the confusion matrix, which indicates how often any two items are mixed-up. The confusion matrix of a perfect classifier would only have nonzero entries on the diagonal, with zeros on the off-diagonal. The results are not identical because we used the randomized version of the PCA – because the projection varies slightly each time, the results vary slightly as well. 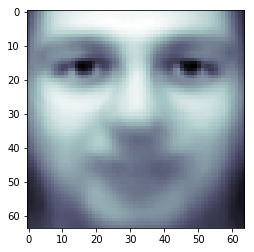 Here we have used PCA “eigenfaces” as a pre-processing step for facial recognition. The reason we chose this is because PCA is a broadly-applicable technique, which can be useful for a wide array of data types. Research in the field of facial recognition in particular, however, has shown that other more specific feature extraction methods are can be much more effective.